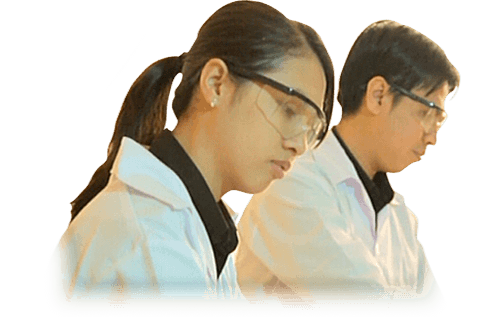 Our R&D team supported with complete sets of laboratory equipment requirements are continuously innovating and improving its capability to developed product in several segments of industry including panel, automotive, thermoware, spray foam and refrigerator. Our laboratory facilities are capable to do chemical test for many kinds of industries. Not only fully equipped, we also have a qualified R&D team to quickly support any custom needs, either in large or small lot trial.